Weston is, among other things, a railway town. That is why we should worry more than most about railway politics and economics—and about crashes that happen far from us. 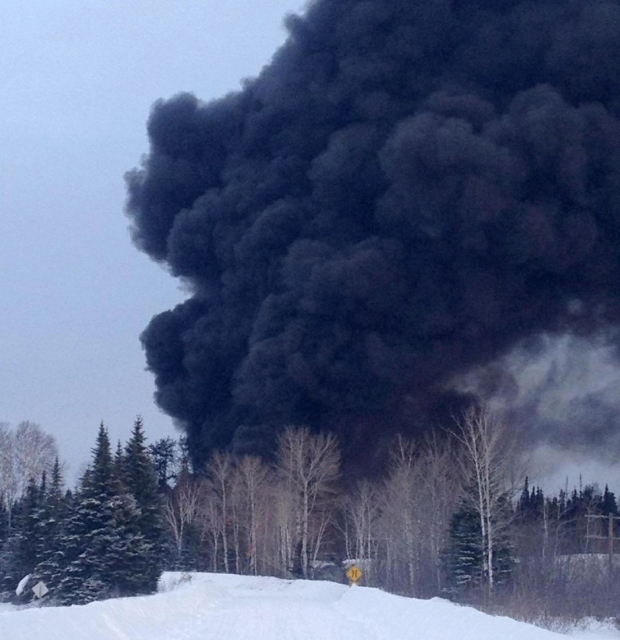 Last weekend, a train derailed near Gogoma, Ontario. Nobody was killed or hurt. But imagine for a minute what a crash like this would do in Weston. 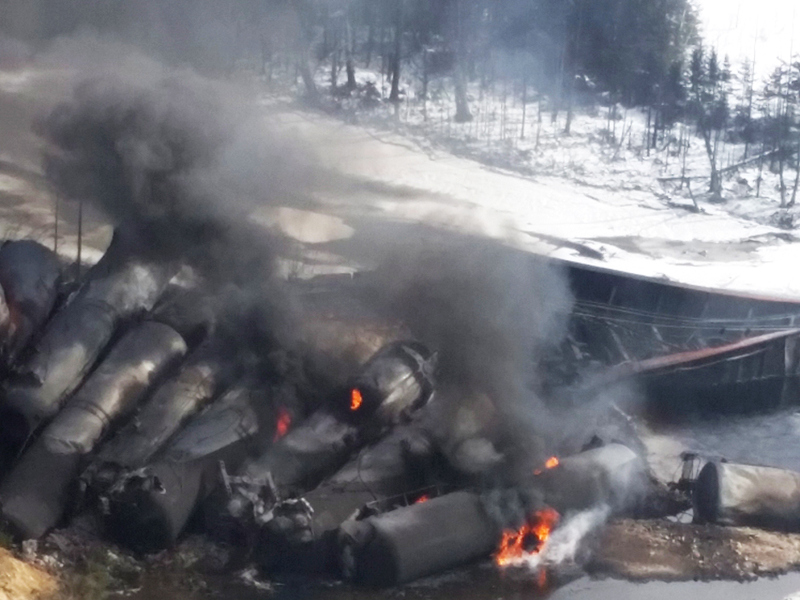 Fiery train crashes and explosions are now quite common, and a direct, predictable result of government failures. Because of the enormous growth in natural gas and tar sands production, train cars are now transporting vastly more oil than they did. A pipeline may have helped, but the feds blew that by blowing off Kyoto. Regulation might have helped, but the Conservatives are allergic to government oversight—leaving rail companies to be, to a large degree, self-‘regulating’. Community pushback might help, but communities can only guess about what is passing through them, because the feds made it impossible to konw. And, as always, it gets worse. This is not the first crash in Gogoma. It’s the second crash in a month. There was another fiery crash in Illinois. And one in West Virginia. That’s four train crashes in a month. All were carrying oil. And it gets even worse. 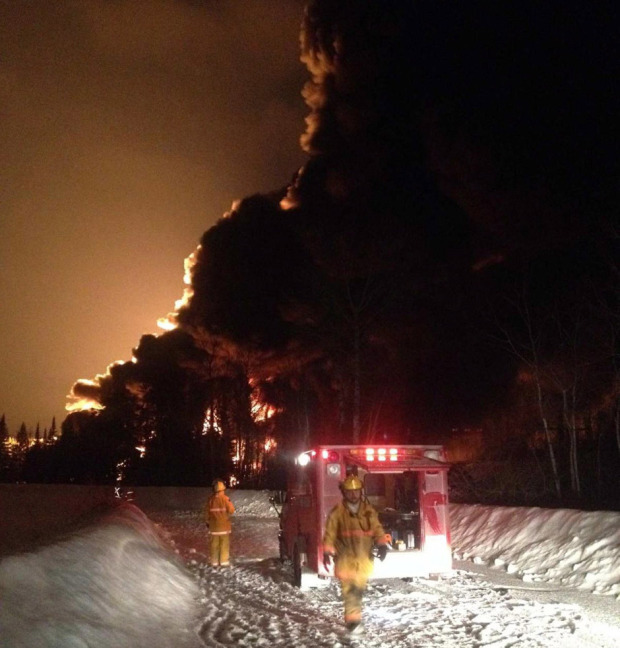 The Gogoma train cars were not the DOT-111 cars that lead to the explosion in Lac Mégantic and the deaths of 47. These were improved cars. Nor were these cars carrying Bakken Shale oil; they were carrying tar sands crude. So—and this is small comfort—the crash in Gogoma is a kind-of best-case scenario. We need more advocacy on this – I completely agree.